There’s something cool, in a complex way, about sitting in a Cessna Caravan. It’s big and really high up, but feels in so many ways like a smaller airplane, which was the idea that Cessna had when it launched the model in the early 1980s. It’s a study in contradictions, from its oversized 182-style trim wheel next to your knee to the cargo area that could accommodate the better part of an NBA team. No two ways about it: The airplane gives you a feeling of perspective and command that a 182 never could while still giving you the nagging feeling that you’re simply playing the role of a pilot in the movie Big. That’s the feeling I always get when I climb into the Caravan, and that’s the feeling I had as I sat in one on the ramp at San Marcos, Texas, getting ready to go flying with Blackhawk’s Bob Kromer. Bob’s goal was to show me the big difference between this Grand Caravan and, well, this same Caravan a couple of months prior before it had gotten an engine transplant. In this case, the new powerplant was the Pratt & Whitney PT6A-140, an 867 shp monster that would surely do new things for this old bird. I looked forward to the demonstration of raw power. When it comes to power, the old credo that “more is better” sounds good to all of us, but the truth is, and we should have learned this from reading Goldilocks when we were kids, more is better only when it’s not too much more, only when it’s just right. 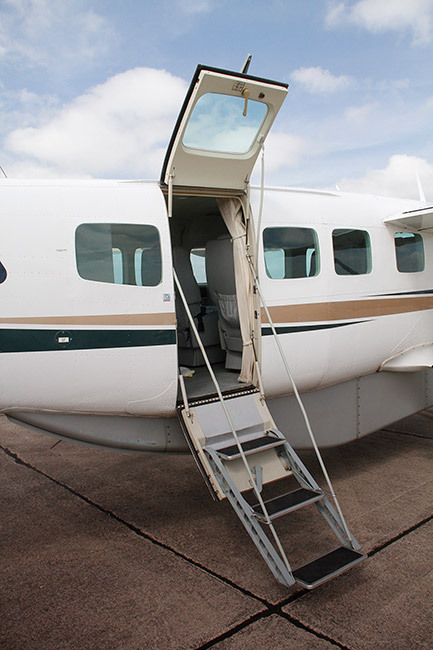 The Cessna Grand Caravan is an airplane that outwardly seems to exemplify excess. Even at the start, the Grand version was an exercise in grandiosity. Shortly after it launched the Caravan model, Cessna did nothing less than take its already plus-sized turboprop single and grow it into something even bigger, with a more powerful engine and a stretched fuselage that made one wonder if at any moment it might tip over on its tail. TOP: The Blackhawk PT6A-140 conversion gives the Grand Caravan almost 200 shp more power, improving its performance in every phase of flight. ABOVE: With room for up to 14 occupants, the Caravan is a load-hauler. Most Grands are configured, as this one is, for combination passenger and cargo hauling. We’ve all gotten used to the look of the Grand Caravan because it’s such a common airplane—the original, non-Grand, short-bodied model is the one that looks odd to us these days. The other big reason we’ve accepted the Caravan’s ungainly looks is that we know what it can do. It can haul a prodigious load of people and/or packages in and out of just about any strip you can imagine at reasonable speeds in an unpressurized cockpit with fixed gear at remarkably low operating costs. The other critical thing to note is that the Cessna Caravan flies like a big Cessna Skylane. Before I flew a 208B for the first time 15 years ago or so, a few different people familiar with the breed told me exactly that, that flying the 208B would feel very familiar. I didn’t believe a word of it, and when I finally flew the big bird, I remember thinking to myself, “This flies like a big 182,” as though I’d come up with the notion on my own, so unlikely was it that Cessna could have pulled off such a miracle of aero-engineering to make a giant version of one of its legendary fixed-gear, high-wing, all-metal singles, despite its dimensions and heft, fly just like they did. On the side of the argument that even more power would be better, for years folks have been asking for just that, thinking that the 600 shp and 675 shp versions were underpowered. Turns out that the idea was a popular one. 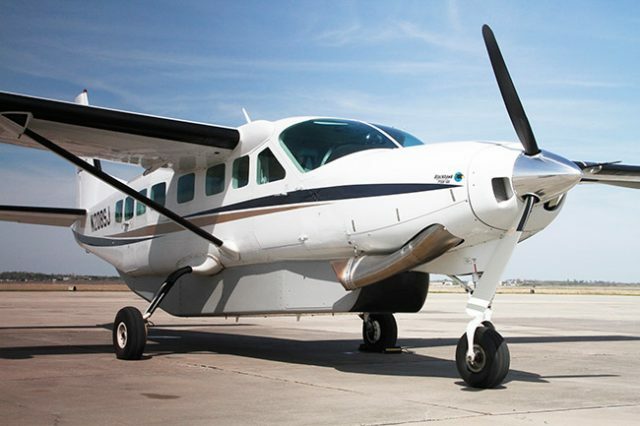 Just a couple of years ago, Cessna certified its latest Caravan, the Grand Caravan EX, which sports an 867 shp Pratt & Whitney PT6A-140 turboprop. I flew it shortly before it was certificated, and it was clear that the additional power did wonders for an already wondrous machine. Still, at a sticker price of better than $2.5 million, the Grand Caravan EX is a heady investment. Knowing just that and understanding that an aftermarket version could generate a lot of interest, the folks at Blackhawk went to work certifying a version on existing Grand Caravans. Blackhawk got the STC for the installation of the big engine earlier this year. 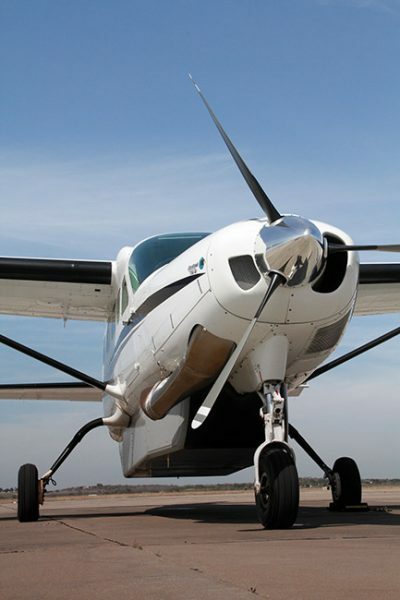 It can be performed on every model 208 and 208B with the PT6A-114 (600 shp) or PT6A-114A (675 shp) engines. 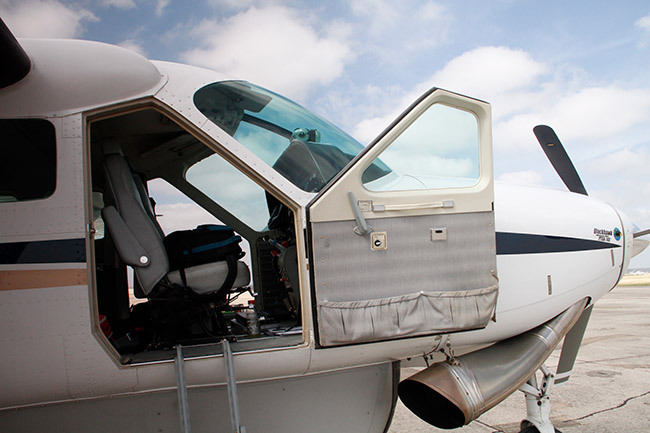 The STC can be done on airplanes that came prior to the adoption by Cessna of the Garmin G1000 avionics suite in the Caravan—the engine-monitoring equipment is built into the G1000, which would require a new software package from the avionics supplier, which hasn’t yet happened. The -140 engine produces its 867 shp at 2,397 ft./lbs. of torque and 1900 rpm, which is loafing by this engine’s standards, even given the higher power output. This results in a TBO of 3,600 hours, with a hot section inspection recommended every 1,800 hours. The installation, as with everything Blackhawk does, is a thing of beauty. The company helps keep costs down by reusing the original cowling and exhaust system, modifying it slightly and routing the exhaust through a single pipe. Up front is a new prop, too, a giant (106-inch-diameter) three-blader from Hartzell, which makes the Blackhawk model purr. Hartzell is said to be working on a four-blade prop for the PT6A-140 that will make it compliant with Europe’s stringent noise regulations. The upgrade also includes a more powerful (325 amp) starter-generator that helps keep engine temps down and spool-up times quick. There’s also a new, larger-capacity oil cooler, and inside the cockpit, a new array of Howell engine gauges, the round-dial analog kind, that neatly organize the engine-monitoring instruments. The whole upgrade adds around 120 pounds to the Caravan, with the bulk of that added weight owing to the beefier starter-generator and oil cooler. The max weight of the aircraft remains the same. Blackhawk goes with a Hartzell three-blade, 106-inch-diameter metal prop—rugged, durable and proven in the field. The economics of the swap are what make it work for Blackhawk (and its customers), as the owner of an existing candidate Caravan can get all the performance of a new 208 EX at a discount of about a million bucks. That said, a factory-new Caravan EX brings certain things to the table that the Blackhawk model can’t, like that new airplane smell or the addition of the G1000 avionics. Then again, these are features that not every Caravan operator wants. Many of the customers for the exchange, Kromer told me, are operators in extremely remote locations (think South America and Indonesia), who need to get in and out of small strips at high elevations with big payloads. The extra power is what matters most to this kind of operator. TOP: For the flight, we added around 300 pounds to the rear baggage area to simulate a more typical loading than just two fit guys and their lightweight headsets. 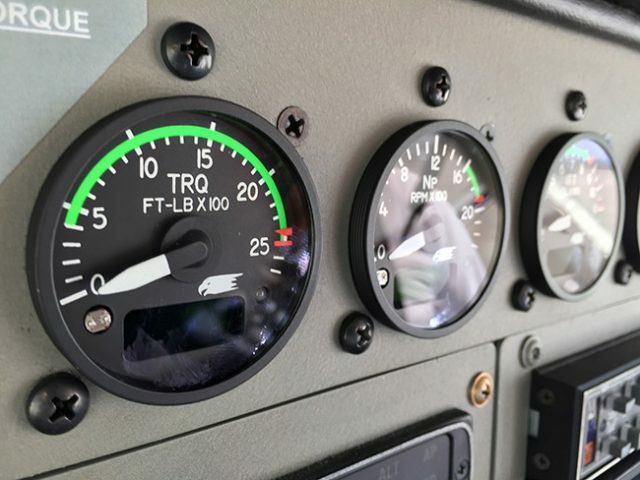 ABOVE: Part of the upgrade package deal is a new set of Howell engine gauges of the round analog variety. The economics typically look like this. The exchange program winds up costing around $620,000, including the installation, when figured at $10,000. The real incentive, as the few businesses like Blackhawk that specialize in turbine engine exchange programs know, is to not have your current timed-out engine overhauled and trade it in toward the more powerful engine. After all, if you’re going to be spending a couple hundred grand on a PT6 overhaul anyway, that effectively cuts the cost of the Blackhawk program by that amount. Plus, you get an exchange credit for your old PT6A-114, with more of a credit the more time the engine has until its TBO. While it’s a substantial amount of money, the economics of it will prove tempting to a lot of Caravan owners, who will doubtless see this as a path to a higher-powered 208B with performance benefits galore. To check out just how good the performance of the newly re-engined Caravan would be, Kromer and I went flying in it. The airplane we flew was a 10-year-old 208B with a cargo pod. It has around 3500 hours total time, and it was clearly not a new airplane, though it was in nice shape overall. The new engine on it had about 15 hours of use. It was clearly new. 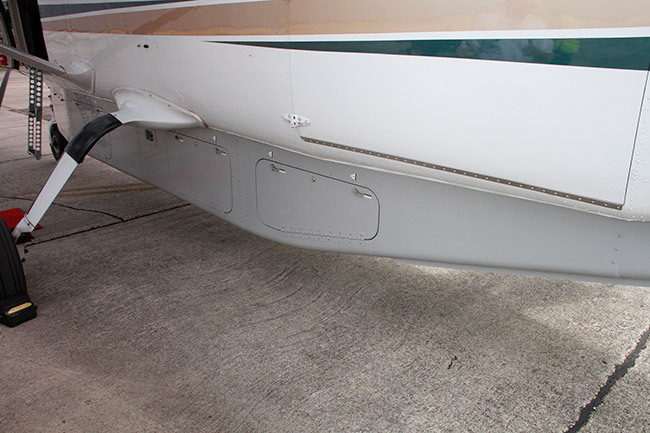 Since a Caravan is meant to be flown with a big payload—otherwise, a light jet makes more sense, right?—we loaded it up, not to max weight but considerably, by adding 300 pounds of weight to the rear cargo hold. 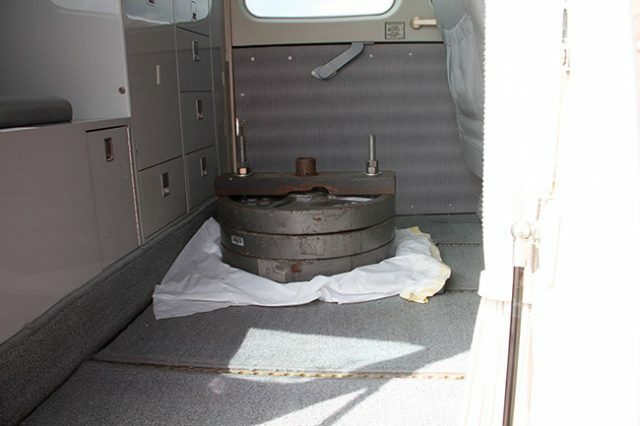 The center of gravity with the added weight was smack-dab in the middle of the envelope with the weight, at 8,256 pounds, still having around 500 pounds of additional payload available. The proof of the power pudding was evident on the first takeoff. 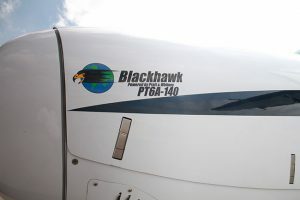 According to both Cessna’s figures and Blackhawk’s, the PT6A-140-powered airplane uses substantially less runway than the -114-powered model—a lot less. Compared with a 600 shp PT6A-114 model, the Blackhawk bird needs around 500 feet less runway to get off the ground; it needs 300 feet less to take off than the 675 shp model. The performance delta is even more pronounced at altitude in hot weather. All I knew is that we used what seemed like no runway, and once we started climbing at best angle, it was impressive. We maintained better than 1,500 feet per minute climb-up through 6,500 feet. Even though pilots don’t really think of the Caravan as a speedster, it does okay, and with the -140 mod, it does even better than okay. At 5,000 feet and 10 degrees C hotter than standard, we were truing out at 191 knots, around 15 knots faster than the 675 shp PT6A-114A-equipped model and more than 20 knots faster than the 600 shp PT6A-114 version, though it does cost some extra fuel burn each step of the way, with fuel flows around 50 and 75 pounds per hour higher than the 675 shp- and 600 shp-powered models, respectively. TOP: For planes outfitted with cargo pods, the power boost makes even more sense, as the extra load-carrying ability can spell the difference between being able to operate fully loaded or not. 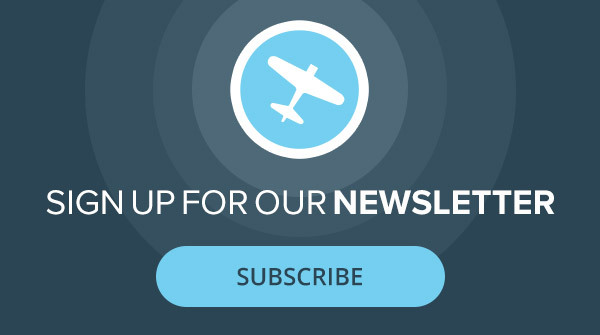 ABOVE: The downside of the engine swap, versus buying a new airplane, is that the airplane is visibly not a new one. For many operators, it’s all about utility and not appearance. So, takeoff, climb and cruise are all substantially improved with the Blackhawk mod, but Kromer wanted to make sure I got the feel of the improvement, so we headed back to San Marcos for a couple more takeoffs. On the first one, Bob did the honors of setting the power for me so the engine produced the same amount of power as the 675 shp bird. We took off, climbed to pattern altitude, and then I made the circuit and taxied back to try again. This time we set the power at full takeoff power and—you guessed it—the improvement was eye-opening. When you have thousands of hours in Caravans, as I don’t, I’m sure the experience of the added power would be even more striking. Even more, I’m certain operators will appreciate it all the more when they’re operating out of tiny mountain strips surrounded by tall trees, instead of the flat expanses of farmland surrounding the 5,000-plus-foot-long Runway 17 at San Marcos. The Blackhawk conversion isn’t for every Caravan owner. The costs are, as I said, substantial. But for those operators looking to upgrade to the latest in PT6 Caravan engine technology, the value proposition is a strong one. For those who want or really need the additional power, but who don’t need a brand-new airplane or flat-panel avionics, the Blackhawk solution makes a lot of sense. Do you have the need for speed? 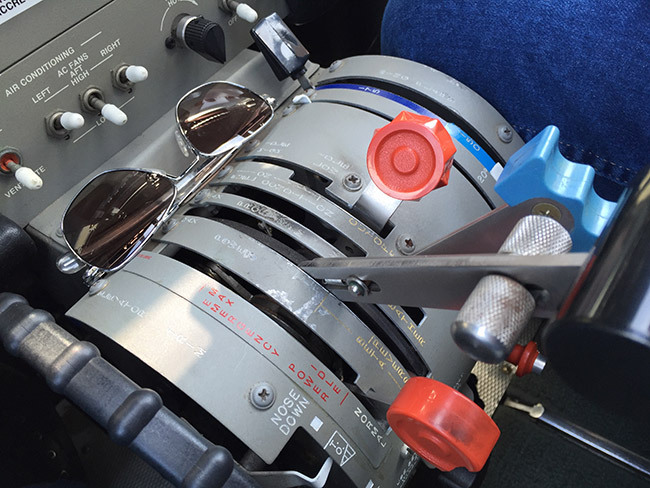 Check out our article Plane Speed: How Fast Do You Need To Fly? to learn how important speed is in a plane, and if it’s worth it for you. Good article. Well written and enjoyable to read. However I am disappointed to see 300 lbs of unsecured lead in the aft passenger cabin. This is completely outside of the Cessna loading procedures and would not be approved by Cessna, any licensed operator, or the FAA. If the aircraft were to encounter turbulence, or a minor landing mishap this could be anything from destructive to deadly. If some ballast were needed (really?) why not take a couple of buddies for a ride instead? Or add some fuel to the copious fuel tanks? Since when did a demonstrating company want to add weight when showing off performance? 300 lbs is negligible to a Caravan and any pilot would be hard pressed to even notice a difference, being less than 3% of a nearly 9000 lb MGTOW. This is about handling. The Blackhawk Caravan is extremely nose heavy with 120 lbs WAY out front added to a design that never anticipated such a heavy installation, the C of G is far from optimum. Hence with 2 pilots (also well forward of the wing) an empty Blackhawk Caravan is quite a pig to rotate on takeoff and flare to land. That lead was there to produce a nice handling flight for an impressionable pilot who might otherwise have had difficulties rotating on takeoff and may have run out of elevator in the flare on landing. There is nothing wrong with carrying ballast for C of G reasons but I find it disappointing that this was not apparent, and the evident disregard of safe loading and securing of cargo was a poor show. Cummon mate. Those weights are bolted down. There is zero chance the pilots would have taken off were they not. Forget regulations etc, Goyer et al presumably possess at least an average amount of common sense. It wouldn’t happen. While mostly obscured by some paper or cloth a frame is attached to the seat runners in the floor and the weights are bolted to it. Nice article BTW. I bet they sell plenty of these at overhaul time.